The incomparable Carl Reiner is back. His New York Times best seller Tell Me a Scary Story was a hit when it appeared in 2003, with over 70,000 copies sold in various formats. 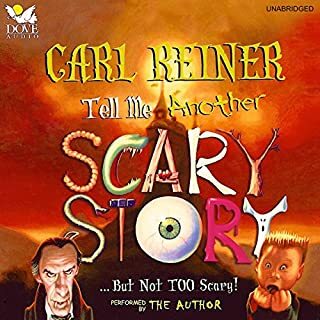 Kids love scary stories, and this tale surely won't disappoint with odd beams of light coming from nowhere, oodles of goopy goo, memorable characters, and mysteries for kids to solve, if they dare. If you're looking for the scariest stories you can get your ears on, your search is over. Accomplished storyteller Roberta Simpson Brown unfolds her thrilling stories for listeners of all ages. 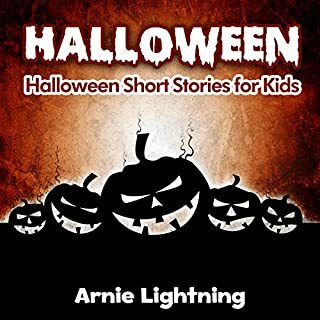 Listen to 10 bone-chilling Halloween stories from the best-selling author, Arnie Lightning! These Halloween short stories are quick and easy to understand and enjoy. You and your children will enjoy the spooky tales! Listen to 10 bone-chilling Halloween stories from the best-selling author, Arnie Lightning! 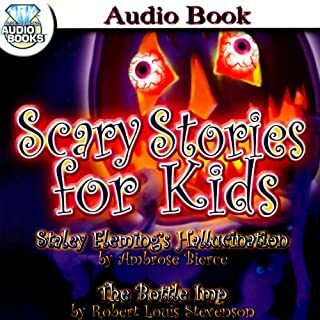 These Halloween short stories are quick and easy to listen to and enjoy. You and your children will enjoy the spooky tales! This audiobook is especially great for traveling, and waiting rooms. It's perfect for early and beginner listeners. 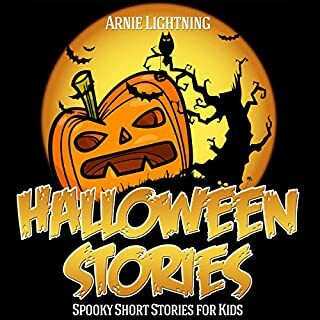 Listen to these bone-chilling Halloween stories from the best-selling author, Arnie Lightning! 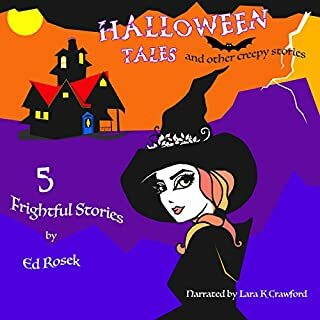 These Halloween short stories are quick and easy to understand and enjoy. You and your children will enjoy these scary tales! My 4 year old nephew listens to this every chance he gets. I downloaded it before Halloween but he is still listening and it is April! He knows now what to do and not do while Trick or Treating and tells me all about it. 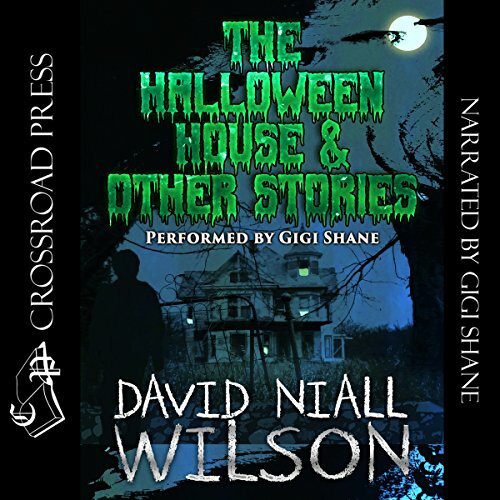 Would you listen to The Halloween House & Other Scary Stories again? Why? What about Gigi Shane’s performance did you like? The story is slightly creepy but not too scary. It's a great addition for any Halloween Fun. Gigi Shane did an Excellent job with the narration. The back ground music added to the ambiance and wasn't too loud. I wish I knew the title of the music, it sounds like someone is "tip toeing". I received these little jems for free in order to give an honest review. They are very short but super cute. I listen to them with my 3 and 5 year old. The one on skeletons was good as my little one didn't like them now she is ok with seeing them. Only down side was the audio I received was wonkie it had to be turned up loud to hear it. But still we enjoyed them. Would recommend. Perfect blend of spooky suspense and rhyme for little ones. A great listen for halloween or any dark and dreary evening. 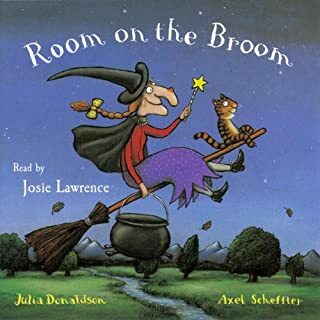 Really enjoyed it with my kids.I was voluntarily provided this free review copy audiobook by the author, narrator, or publisher. These three Halloween stories were sooo cute. They were simply perfect. I think they were right for any age, even us young at heart adults. I loved the first one the best but all were great. The music added a special touch as well. A terrific book by David Niall Wilson. I hope there'll be more to come. My grandkids didn't have a chance to listen to this one yet but they will and I know they'll love it as I did. Gigi Shane's performance was terrific. She's a natural story teller as is the author. The two made this a fun listen. Let me start off with saying I LOVE HALLOWEEN!! I absolutely loved this for my kids.. I wish I had gotten this before Halloween it has music and the narrator is very animated sounding. I really enjoyed just listening to this myself. Its creepy but lets kids know what you shouldn’t do on Halloween.